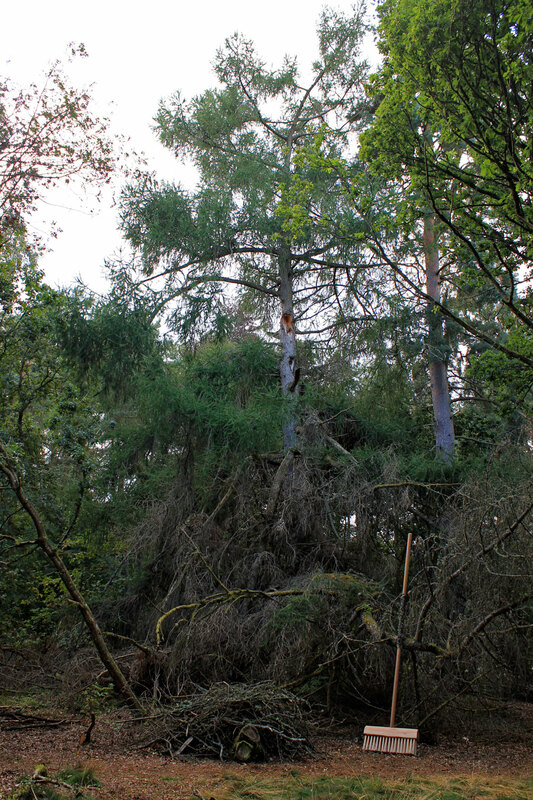 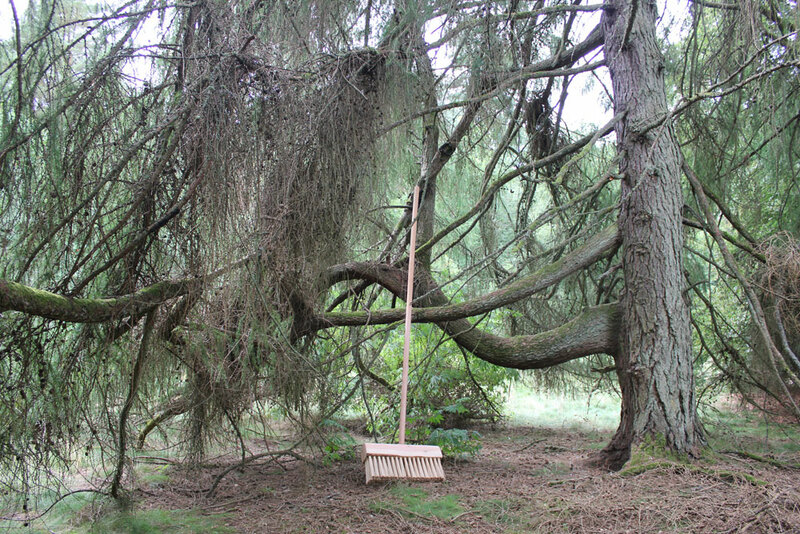 A Brush with Nature was produced for Heartwood, a site-specific exhibition set in the rural woodland at Monkwood near Blairgowrie, Perthshire. 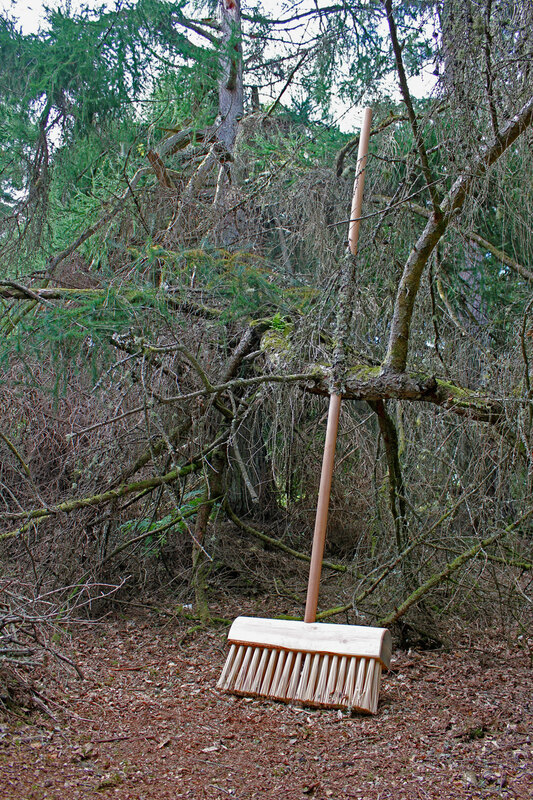 This piece is an extension of the work ‘Fertile Ground’ that was conceived in Tasmania and features a broom that has fallen on a carpet of moss and sprouted new shoots. 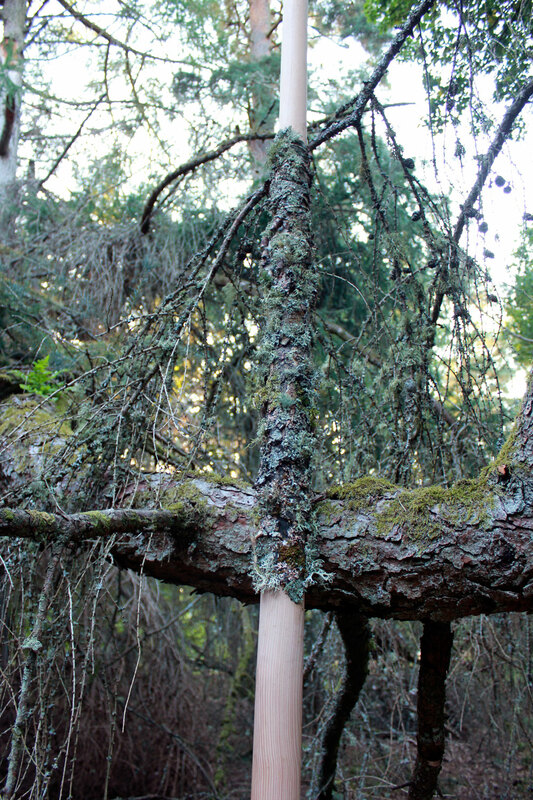 Here the broom is 5:1 scale and has grown lichen and bark where it rests on the branch of the nearby tree. 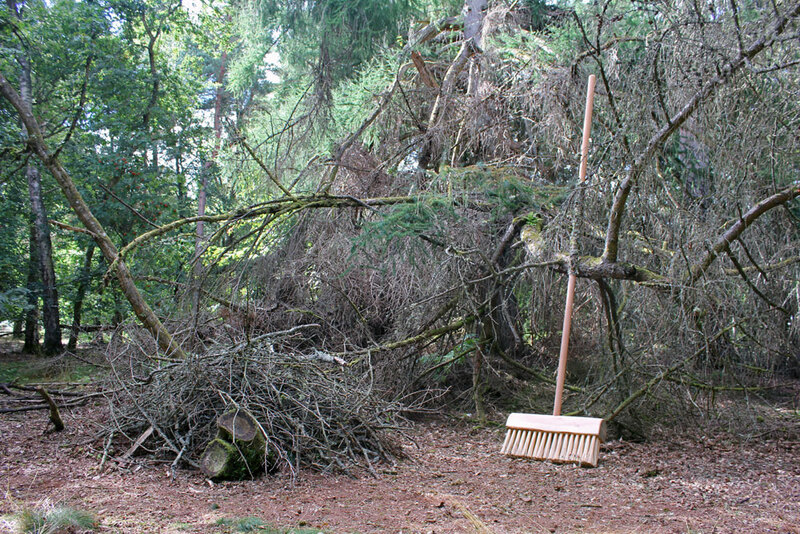 Beside the brush lies a pile of sticks as if the tree has just finished sweeping the forest floor. 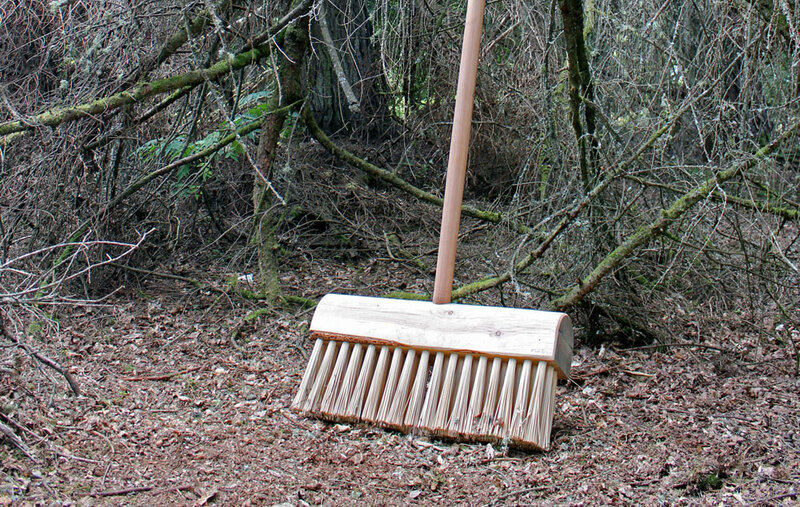 In preparation for the exhibition pathways had been cleared through the grounds and I thought it would be fitting to make the broom that had supposedly done the job.